Ronaldo moved to Juventus last summer from Real Madrid in a €100m transfer and has scored 24 goals in 34 appearances in all competitions, including a hat-trick in Wednesday's 3-0 home triumph over Atletico Madrid in the Champions League. The result gave the Italian giants a 3-2 win on aggregate and clinched their place in the quarterfinals, where they will face Ajax. "Cristiano Ronaldo is the best player in the world and he is returning to the national team," Santos said in Friday's news conference. "Any team would be stronger with Ronaldo. He already spoke this week about his absence from the national team [to adapt to his life in Turin and to new club Juventus]. 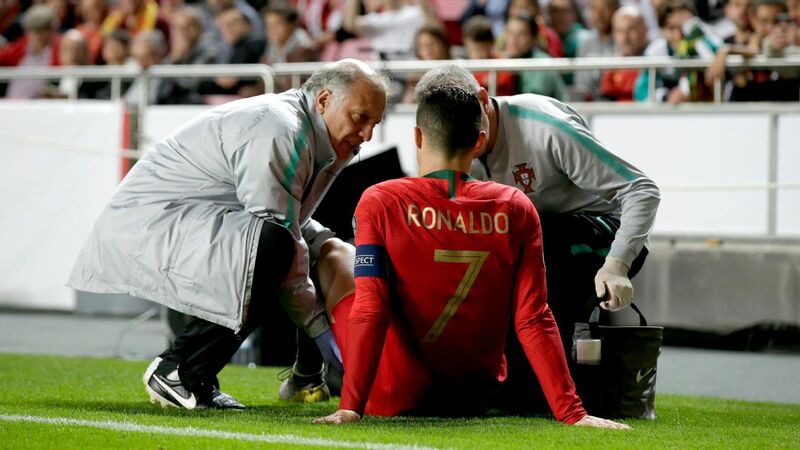 The team will be stronger with Ronaldo." Santos has called up uncapped Wolves attacking midfielder Diogo Jota, Braga forward Dyego Sousa and Benfica's Felix. The 19-year-old midfielder has enjoyed a promising first season in the Primeira Liga, scoring nine goals and setting up five more in 17 league appearances, and has now been promoted to the senior side. Portugal, without Ronaldo, won three and drew three of their six games since the World Cup. They finished top of their group to reach the UEFA Nations League finals, a tournament the country will host in June. Sevilla striker Andre Silva, who scored in three of Portugal's four UEFA Nations League games, retains his spot in the squad. "We have two big games coming up and I expect two wins," Santos said. "For the first time we are entering this qualifying phase as defending champions, a title we won with a lot of merit. We have a great responsibility and our aim is to defend our title. We have to maintain that united spirit." Forwards: Bernardo Silva (Manchester City), Joao Felix (Benfica), Goncalo Guedes (Valencia), Rafa Silva (Benfica), Andre Silva (Sevilla), Cristiano Ronaldo (Juventus), Diogo Jota (Wolves) and Dyego Sousa (SC Braga).